I need to try this recipe with greek yoghurt! I have never made potato salad with sour cream, usually I mix Miracle Whip with Mayo. Will have to try this version. 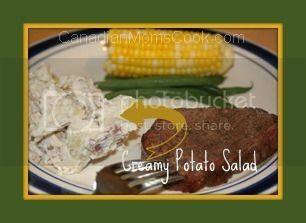 I usually use Hellmann's for my potato salad but I will have to try your version as it sounds delish!